Join us at Auburn Hotel for our Steak Tuesdays. 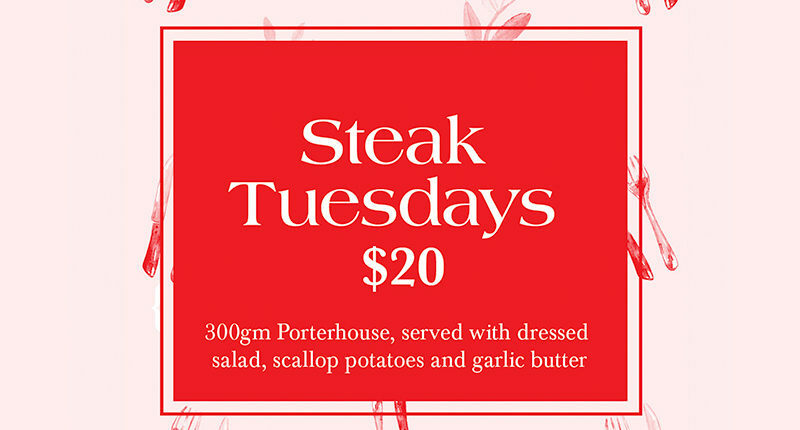 Enjoy a 300g Porterhouse for just $20, served with dressed salad, scallop potatoes and garlic butter. Add your choice of Peppercorn, Mushroom or Jus for $3.0 each.